Wide Urban World: Are shantytowns a normal form of urban residence? Are shantytowns a normal form of urban residence? People’s views of shantytowns—areas of informal settlement, often by squatters—have varied greatly over the years. Squatters settlements appeared almost overnight around many cities in the developing world in the mid-twentieth century, due to population growth, poverty, and inadequate construction industries. The early reactions were negative: these were seen as chaotic places of high crime and social breakdown. Then fieldwork by anthropologists who lived in these settlements painted a different story: people built their own houses and they worked hard in order to get ahead in the world; crime was low, and family organization remained strong. 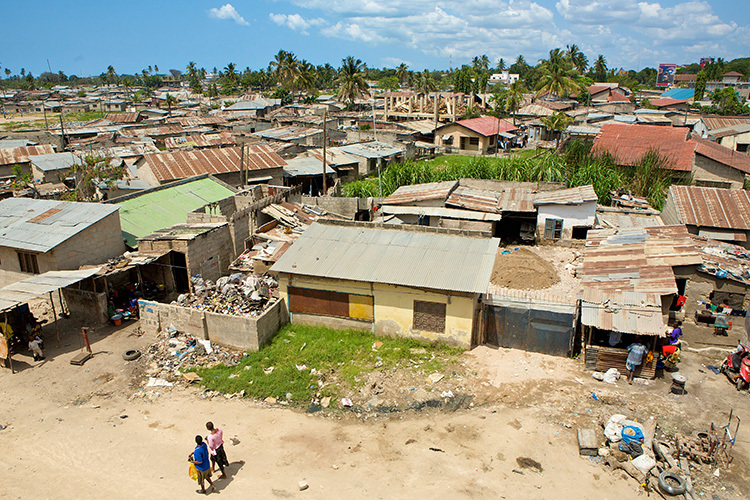 Although poverty and employment were and are real problems, many scholars and observers came to have a more positive view of shantytowns (Turner 1991). 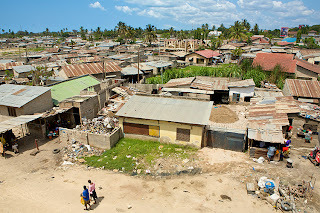 Although a more positive or tolerant view of shantytowns and their inhabitants became common, many observers still saw the informal and unplanned nature of these settlements as an aberration. 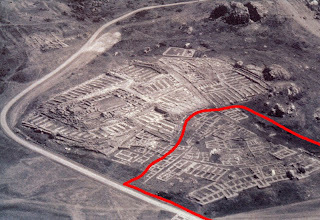 In Latin America, for example, Spanish colonial cities had highly planned, rigid, grid layouts, and these created the urban structure for modern city form and expansion. But then came the messy shantytowns. These were seen as a modern development whose lack of planning and organization was attributed to poverty and other forces of the modern world. Traditional cities are well planned, according to the orthodox view, and shantytowns are a chaotic deviation from that pattern. Some urban scholars, however, pointed out that shantytowns are actually quite an ancient form of urban settlement. The great Argentine urban historian Jorge Hardoy (1982) was the first to suggest this idea, which was then taken up by architectural historians Peter Kellett and Mark Napier (1995), who noted that “The phenomenon of informal urban housing is not new. Throughout history, the poor have constructed their dwellings around the urban centers of the rich and powerful” (p.8). In his book Shadow Cities: A Billion Squatters, Robert Neuwirth (2004) goes even further: “the history of cities teaches that squatters have always been around, that squatting was the way poor built homes, that it is a form of urban development (p.179). Hattusas, Turkey: informal housing next to a temple. My research on ancient cities bears these ideas out. 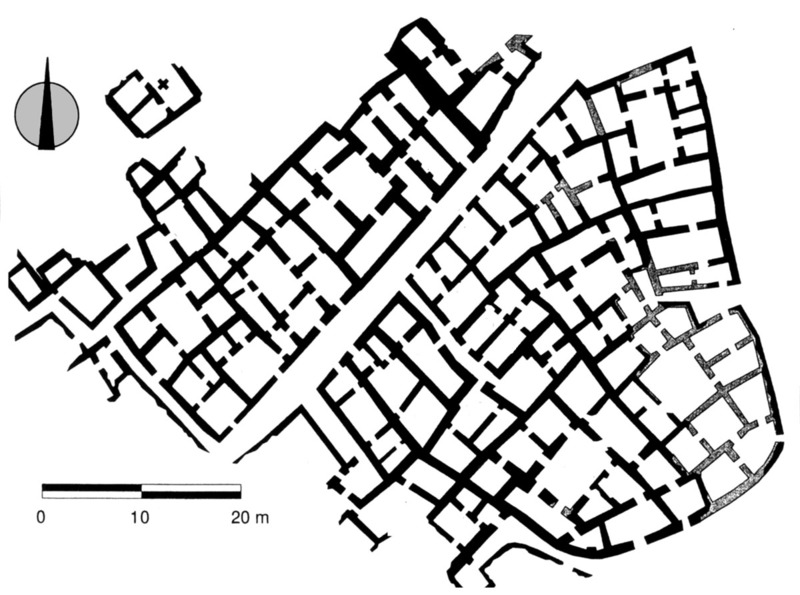 Some ancient cities did have carefully planned orthogonal layouts of their residential zones (particularly Greek and Roman cities, or places like Teotihuacan), but in many more cities, housing was uneven and informal. Here are four examples of this, two from the Old World and two from the New World. The ancient Hittite capital Hattusas (in Turkey) was laid out on a mountainside. 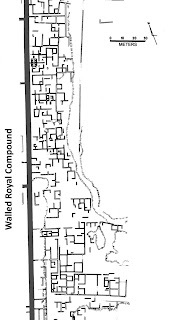 Next to a temple compound are a series of irregular house foundations (in the area circled in red in the photo). The contrast with the much more regular layout of the temple is striking. (Bryce 2002; Neve 1996). Copan: informal housing adjacent to the royal acropolis. shantytown to me. (Andrews and Fash 2005; Webster et al. 2000). Unfortunately, archaeologists have been slow to analyze ancient urban housing, and comparisons with modern shantytowns are in their infancy; I discuss the situation in Smith (2010). But it is clear to me that Hardoy and the other scholars quoted above are correct that shantytowns or squatters settlements were important parts of the urban landscape in ancient times. They pre-dated the carefully planned orthogonal housing of the Greeks and Romans, and so perhaps we can call shantytowns "a normal form of urban residence." They are certainly a big part of the wide urban world. 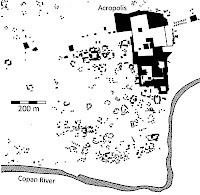 2005 Copán: The History of an Ancient Maya Kingdom. SAR Press, Santa Fe. 2002 Life and Society in the Hittite World. Oxford University Press, Oxford. 1982 The Building of Latin American Cities. In Urbanisation in Contemporary Latin America: Critical Approaches to the Analysis of Urban Issues, edited by Alan G. Gilbert, pp. 19-34. Wiley, London. 1967 Tell Asmar: The Private Home Area. In Private Houses and Graves in the Diyala Region, edited by Pinhas Delougaz, Harold P. Hill, and Seton Lloyd, pp. 143-181. Oriental Institute Publication, vol. 88. University of Chicago Press, Chicago. 1995 Squatter Architecture? A Critical Examination of Vernacular Theory and Spontaneous Settlement with Reference to South America and South Africa. 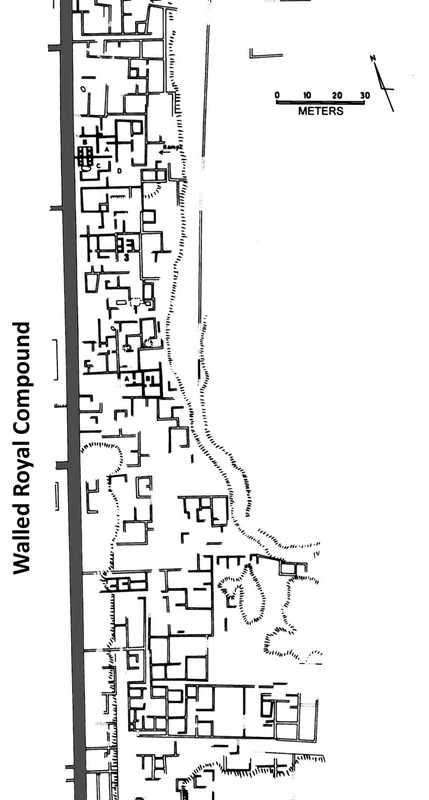 Traditional Dwellings and Settlements Review 6(2):7-24. 1974 Twenty-four Architectural Plans of Chan Chan, Peru: Structure and Form at the Capital of Chimor. Peabody Museum Press, Cambridge. 2004 Shadow Cities: A Billion Squatters, a New Urban World. Routledge, New York. 1996 Housing in Hattusa, the Capital of the Hittite Kingdom. In Tarihten Günümüze Anadolu'da Konut ve Yerlesme / Housing and Settlement in Anatolia: A Historical Perspective, edited by Yildiz Sey, pp. 99-121. Tarih Vakfi, Istanbul. 2010 Sprawl, Squatters, and Sustainable Cities: Can Archaeological Data Shed Light on Modern Urban Issues? Cambridge Archaeological Journal 20:229-253. 1982 Lower-Class Social and Economic Organization at Chan Chan. In Chan Chan: Andean Desert City, edited by Michael E. Moseley and Kent C. Day, pp. 145-175. University of New Mexico Press, Albuquerque. 1991 Housing by People: Towards Autonomy in Building Environments. Marion Boyars, London. 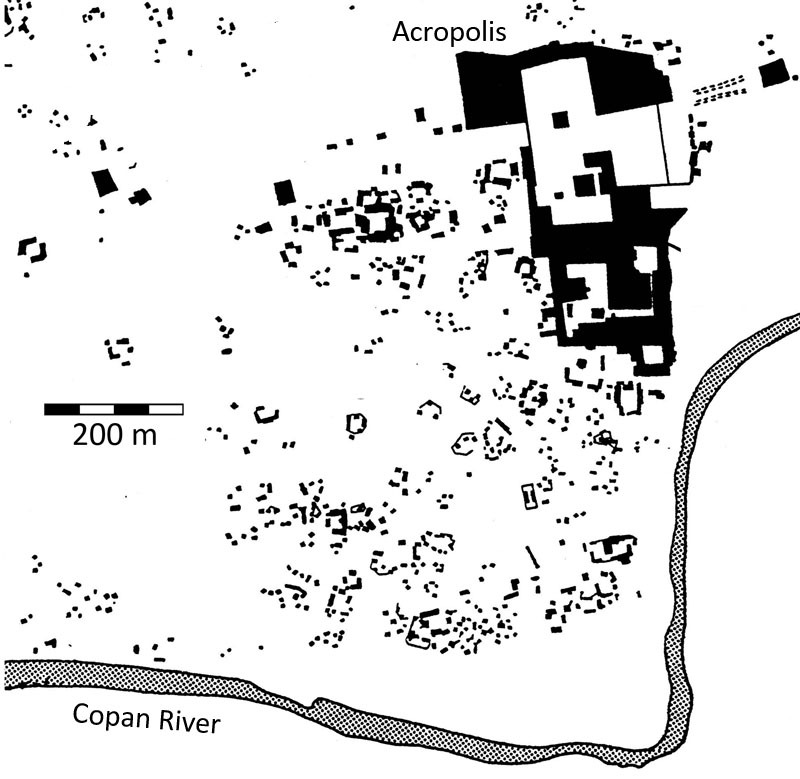 2000 Copán: The Rise and Fall of an Ancient Maya Kingdom. Case Studies in Archaeology. Harcourt College Publishers, New York. We would like to thank you for maintaining such a reputable blog. We know that it takes time, effort and commitment to keep such a blog and as such, we have added your blog as one of the top Archaeology Blogs. @Syste - Your blog is very interesting. And the photographs are fantastic; they capture relevant themes and features, and are also of high aesthetic quality. Thank you for the link!